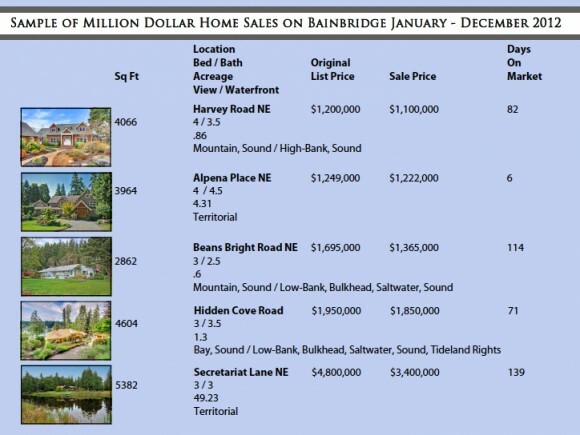 Last year we had a banner year in regards to the million dollar market’s volume – selling 50 homes over a million dollars, more than double the volume of 2011. Part of the reason for the activity was lower prices. Price per square foot was lower last year than in 2010, when only 27 homes sold. The decreasing prices illustrated above equaled affordability for more buyers. But, as the market activity has picked up, the inventory has decreased and prices are starting to go back up as supply and demand is working against buyers right now. How will this affect the high end market this year? As of now it has slowed significantly. Will it pick back up as the seasonal spring market emerges? Time will only tell. Some amazing high end sales last year are highlighted above. 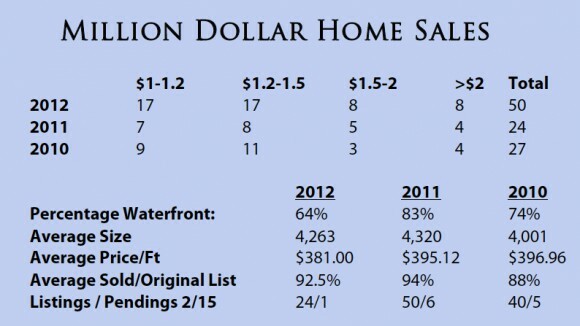 The key difference we saw last year was the popularity of large properties that were not waterfront, like Secretariat and Alpena above. 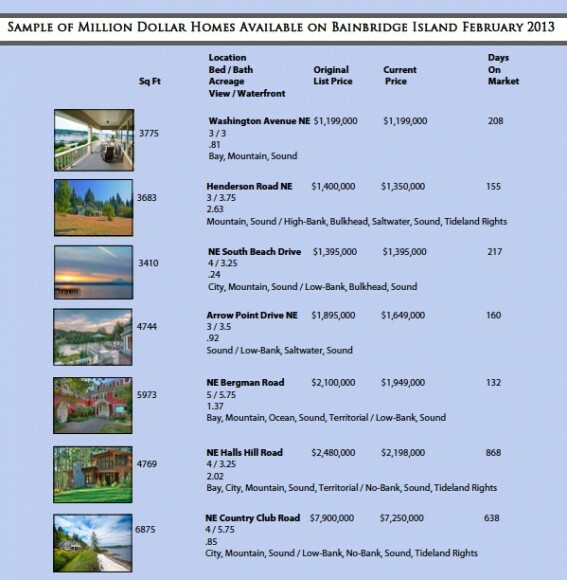 Just some of the stunning properties currently on the market. South Beach is a favorite of mine for its terrific south west exposure. Bergman is a classic piece of history on glorious Manzanita Bay. Let me know if any of the above homes look interesting, happy to send you more info and let you know what they are like in person, I have toured every one.